As per the study of Otolaryngology American Academy, around 80% people suffer from deviated septum. 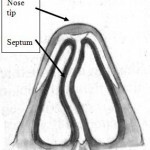 The center nose bone is called as septum which segregates two nostrils of the nose. When deviated septum occurs, the septum gets off –center or sometimes crooked. In many deviated septum cases, the issue remains unnoticed as it does not show any particular symptom. However, the consequences of f deviated septum are related to several symptoms wherein sleep apnea is one of them. So, if you have sleep apnea then it may be a symptom of deviated septum. So, better to check with a ENT specialist and get it diagnosed. A patient who suffers from sleep apnea faces nasal obstruction issue when sleeping and same occurs with deviated septum as well. So, it is very clear that deviated septum has a great relation with nasal obstruction that leads to sleep apnea gradually. The obstruction in nasal passages may get complicated if one does not take it seriously. The crooked nose shape may block one or both sides of the nostrils by which nasal congestion takes place. In critical issues, when both nostril sides get blocked, it restricts the air flow and also stops the nasal fluid drain capability. The constant blockage of the nostrils may cause sinus infections. The collected fluid in the cavity of the nose can cause the development of bacteria or viruses which result into infection. When sinus infection gets occurred, it makes the sinus walls inflaming and severe swelling. The condition causes the breathing ability of a sufferer. In such cases, the surgery for sinus is essential to get it corrected. After undergoing surgical process, the smooth air can be restored or airflow can be discharged properly. Moreover, the collected fluid pressurizes the sinus and cause immense pain in head and face or sometimes in eyes, ears, cheekbones, upper teeth or neck. If you have sleep apnea issue due to deviated septum then there are chances to eliminate this issue from your life by getting deviated septum treatment. Many sleep apnea patients have admitted that it is a life threatening issue that can take one towards the way of death. It requires deep medical attention. It is a condition in which the breathing gets slowed down when one sleeps or you can say, it makes breathing shallow by reducing the flow of oxygen to brain and blood. Nasal obstruction has found the most common cause of sleep apnea and generally nasal obstruction is caused by issues like deviated septum. 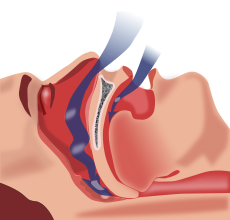 Therefore, if you want to get relief from sleep apnea, and then get deviated septum treated first. Using antihistamines, surgery, cortisone sprays for nasal and decongestants, you can get deviated septum out from your life. 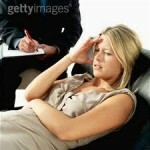 However, to get quick solution for sleep apnea, you should use behavioral changes in your life. In case, your problem is more severe, then CPAP machine will be helpful; however in the worst condition, Bi-PAP machine is the best. These machines provide required oxygen to body and make a person free from the effects of sleep apnea caused by deviated septum.